One of the UK's favourite family-friendly festivals Camp Bestial is set to return in 2019, with a heroes v superheroes theme. From The Incredibles to Wonder Woman to real life heroes such as the Dalai Lama and NHS nurses, just pop on your masks and capes and harness your inner powers for four days of heroic fun. Music acts including Nile Rodgers & Chic, Jess Glynne, Annie Mac, The Human League and Sister Sledge have been announced for 2019’s edition of the Dorset festival. Along with The Wailers, Big Shaq, Ash, Rick Witter & Paul Banks (Shed Seven Acoustic), Rak-Su, Morcheeba, Goldie, Black Grape, Napalm Death, Lewis Capaldi, Nina Nesbitt, East 17, Vengaboys and many more joining the line-up. Award-winning comedian and actor Omid Djalili will bring the laughs to Dorset this summer, topping a hiliarious comedy bill along with Boothby Graffoe and Andre Vincent. 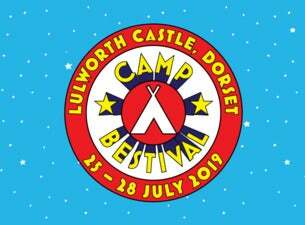 Camp Bestival dates for 2019 are 25 - 28 July at Lulworth Castle, Dorset. https://blog.ticketmaster.co.uk/music/camp-bestival-2019-41972/">Read more on the blog.